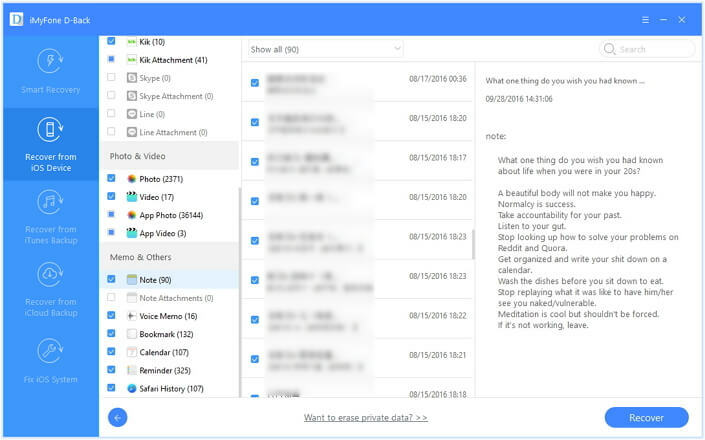 Notes are quite very important as we all have plenty of information stored over it, be it financial account credentials or your email account credentials or important messages or etc. etc. Now, when it comes to performing iPhone notes recovery as you've recently experiencing data loss, you may wonder about the best tool for iPhone notes recovery. This article will guide you through that and list highly efficient free tools for iPhone notes recovery along with their step by step tutorial. Keep reading! 1. How Does iMyFone D-Back Recover Your Deleted Notes? 2. How to Recover Notes from iPhone using iMyFone D-Back? iMyFone D-Back, the best iPhone notes recovery tool which is highly powerful and efficient when it comes to data recovery. 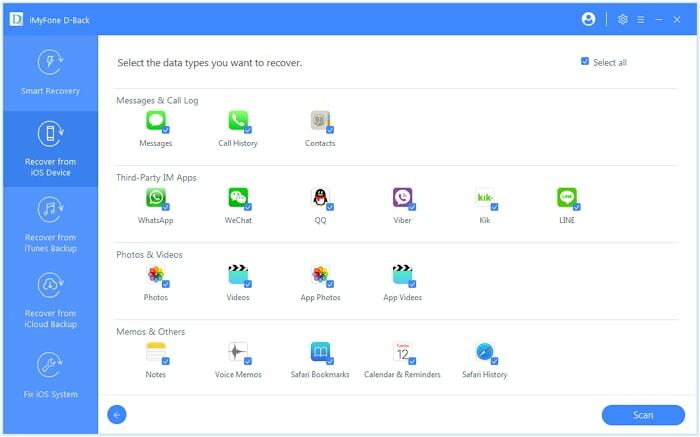 With this mighty tool you can easily recover almost all of your lost data in just a matter of a few clicks. Moreover, it supports recovery for all major data types including notes as well. With the highest success rate in the market, iMyFone D-Back has been trusted as the most reliable tool to recover notes on iPhone along with other data types. Before moving on to the tutorial, do you want to learn the absolute logic behind the data recovery? How Does iMyFone D-Back Recover Your Deleted Notes? First of all, we would like to get to understand how the data is stored over you iPhone and then how iMyFone D-Back get to recover the deleted notes. iPhone basically uses SQLite database to store the location of the data. Let's suppose you've deleted some of your data, be it accidentally or intentionally. Now, what actually happens is, the data doesn't gets wiped off immediately, instead the location status (at which the data was stored) just changes from 'Allocated' to 'Unallocated'. The data goes into a hidden state over your iPhone and gets overwritten only when the new data is stored at its location. This is where you require a data recovery tool like iMyFone D-Back to efficiently help you find and recover the deleted data before it gets overwritten with the new data. So make sure not to perform any operation on your iPhone if you experience data loss. Step 1 – Head to official iMyFone D-Back website and download your copy of the software. Install and launch it over. Now, hit on 'Recover from iOS Device' mode followed by the 'Start' button. Step 2 – Get your iPhone and establish a connection between it and your PC. Hit 'Next' and then you need to select the desired data types that need to be recovered, select 'Notes' here and hit on 'Scan'. Step 3 – Post scanning, the data recovered by the software will be available for your preview on the upcoming screen. You can now check the deleted or lost notes that you are trying to recover. 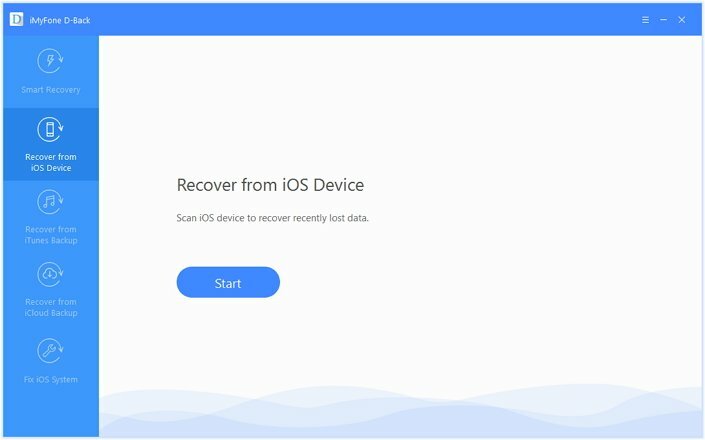 The other free way to recover deleted or lost iPhone is using iCloud or iTunes backup. Some people have the good habit to make backup regularly. These backups will definitely be of great help. You can just restore the backup to your device to get back your notes. Please note that the data currently on your device will be overwritten. 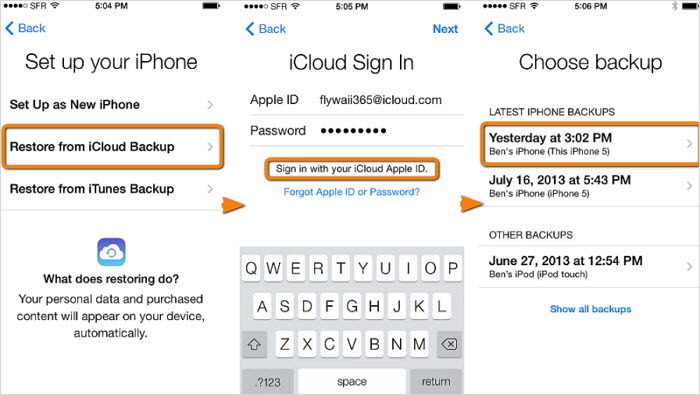 Pre-requisite: Check if you have a iCloud backup. For this, get into Settings > [your name] > iCloud > Manage Storage > Backup. Your iCloud backups will be available right here. Step 1 – Get into 'Settings', tap on 'General' and select 'Reset'. Now, hit on 'Erase All Content & Settings' and confirm your actions. Step 2 – Once your device is wiped off entirely, you need to set it up from scratch as usual. When you reach 'Apps & Data' screen, make sure to select 'Restore from iCloud backup' option. Step 3 – Now, sign in to the same iCloud account where you have your backup. Upon successful login, select the preferred backup file and let the restoration complete. Step 1 – Make sure that your PC is running the most updated version of iTunes. Launch it and get your iPhone in connection with your computer. After the iTunes detects it, you need to hit on the 'Device' icon followed by tapping on the 'Summary' tab on the left menu panel. 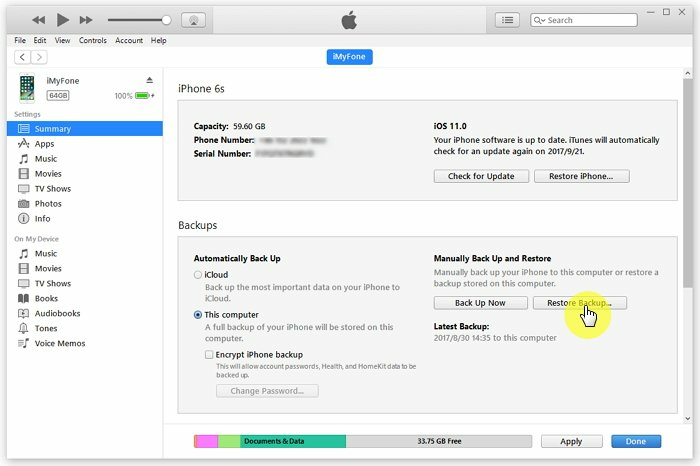 Step 2 – Now, hit on the 'Restore Backup' button under the 'Backups' section and select the desired iPhone backup from the appearing pop up window. Lastly, hit 'Restore'. We have to let you know that there are some drawbacks when it comes to performing iPhone notes recovery using the conventional methods iTunes or iCloud. For your convenience, we have listed some of them right under this section. So, let's explore. In case your iTunes application is not updated to the latest version, eventually, you may end up with several unknown errors. Using iCloud for iPhone notes recovery is not a viable option sometimes because you would require a stable internet connection in order to perform the restoration or else, your device may get bricked. Sometimes, even you have active network, the restore may fail. With iCloud and iTunes, you are destined to suffer from data loss as they will simply restore your device to the previous backup and all other data past that backup will get lost. You cannot selectively perform iPhone notes recovery with the help of iTunes nor iCloud. They simply do not enable you to do so, you only have the option to restore the entire backup itself.